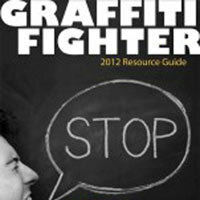 The Stop Urban Blight organization, a non-profit organization dedicated to the elimination of graffiti vandalism, recently published the 2012 Graffiti Fighter Resource Guide. This guide provides helpful tips to fight graffiti as well as other articles related to graffiti abatement across the world. Q-Star Technology provides insight on graffiti prevention and how the FlashCAM has been proven to deter taggers from causing damage. For more information about Stop Urban Blight or the Graffiti Fighter 2012 Resource Guide, visit their website at www.stopub.org.